Yes, The Land of Eyas is a 2D platformer; yes there are way too many 2D platformers out there, but hang in there with me. In The Land of Eyas you play Eyas, a boy in a cat costume. No, the cat costume isn’t Eyas’ failed attempt at cosplay, there’s a real reason he’s in that outfit. At least I think there is, the developers haven’t really explained that part yet. What we do know is that players will guide Eyas through a world being torn apart by two gravitational forces, and it’s up to this cat costumed toddler to figure how to get home again. The unique part of The Land of Eyes is how these conflicting gravities impact gameplay. One minute you’ll be running down a cute, if fairly standard looking, section of level, and the next thing you know up is down and down is up. The challenge comes from navigating what may look like simple levels twisted into fairly complex puzzles due to some unpredictable gravitational tricks. 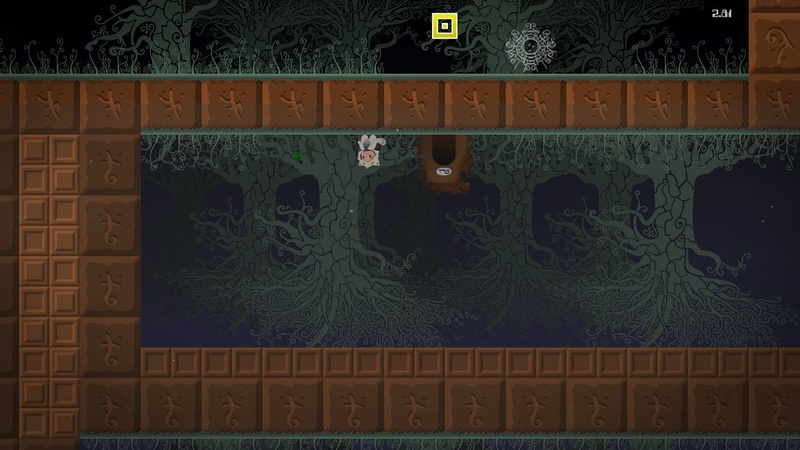 Is tweaking the rules of nature while wearing a cat costume enough to make a compelling game? It’s too early to say, but you can check out multiple gameplay videos on the Land of Eyas Kickstarter page. If you like what you see you can chip in some cash towards their $10,000 target.